It’s a real head-scratcher. The shapes of human skulls from a narrow strip in Mexico reveal that first arrivals to the Americas may have kept to themselves, even when there were no geographical barriers that would have prevented them mixing. 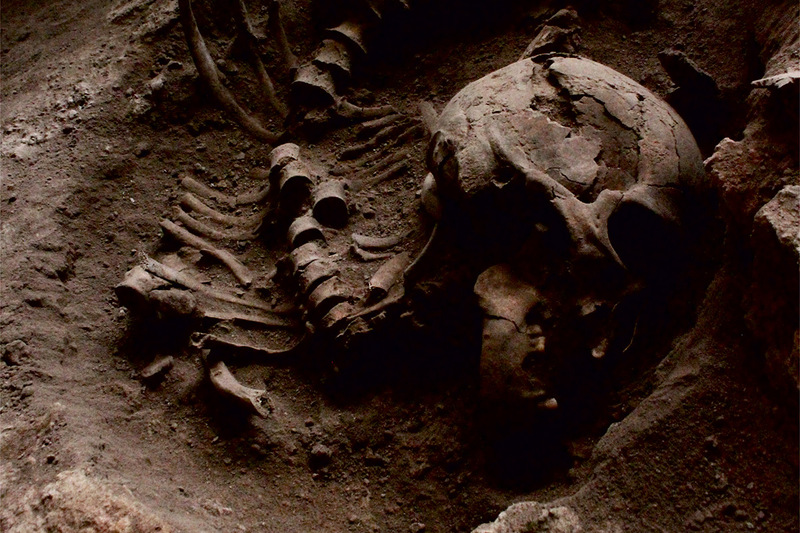 Genetic studies have begun to unravel the complex story of the earliest American settlers, but archaeological studies can provide important details too – particularly the careful study of human skull shape. This is influenced by someone’s genetic history: when two populations become isolated from each other and can no longer interbreed, they each begin to develop unique genetic signatures – and skull shapes. Mark Hubbe and Brianne Herrera at the Ohio State University in Columbus and their colleagues took detailed measurements from a series of 800 to 500-year-old skulls unearthed in three regions of Mexico. They then looked at equivalent measurements from skulls found at a number of sites across North and South America, East Asia and Australasia and analysed how skull shape varied with location. Skulls from two of the Mexican regions – Sonora and Tlanepantla – clustered together in the shape analysis. But skulls from the third region, Michoacán, were different. The variation was on a scale normally seen between two populations that have been separated for millennia, often because they have settled in regions that are thousands of kilometres apart. Yet the distance between Michoacán and Tlanepantla is under 300 kilometres. It’s an astonishing discovery, says Hubbe. Mexico was first inhabited at least 10,000 years ago, and the founding populations may well have had different genetic histories before they settled in the area. Crucially, the populations seem to have been so reluctant to interbreed that those genetic differences were still apparent just 500 years ago. “For whatever reason, these differences have been maintained for thousands of years,” says Hubbe. Mexico lacks obvious geographical features that could have kept people apart – but formidable cultural and language barriers might have existed, says Hubbe. Hubbe and von Cramon-Taubadel collaborated on a second study, which involved analysing another set of early American skulls (pictured top and above). These came from Lagoa Santa in eastern Brazil and date back 10,000 to 7000 years, not long after South America was first inhabited. The researchers discovered that these earliest South Americans – the “Palaeoamericans” – had skull shapes that are distinctly different from those of most indigenous South American populations alive today. “The differences between the Palaeoamericans and today’s South Americans are so large that they cannot simply have appeared in 10,000 years,” says Hubbe. In other words, the Palaeoamericans cannot simply have evolved into today’s indigenous South Americans. Instead, the researchers estimate that the two populations split apart from a shared ancestral population at least 20,000 years ago, offering a much larger time window for the two groups to develop distinct skull features. Because the consensus is that the Americas were not inhabited 20,000 years ago, this conclusion implies that South America may have been colonised in at least two distinct waves – one represented by the ancient people at Lagoa Santa and another by today’s indigenous South American populations. This goes against the general assumption that South America was initially colonised in just one wave, before the Europeans arrived. It isn’t the first evidence that the South American story is more complicated, though – a 2015 study also raised the possibility of multiple colonisation waves by uncovering a genetic link between some of today’s Amazonian populations and indigenous groups in Australia.